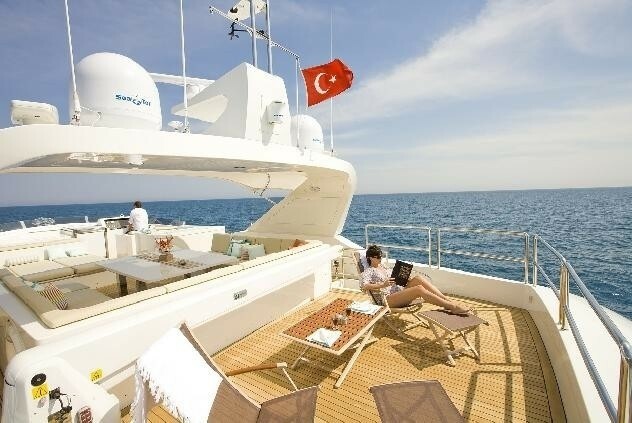 Luxury motor yacht SUN KISS was built by the Turkish shipyard Nedship in 2008 and measures 33m (108ft). 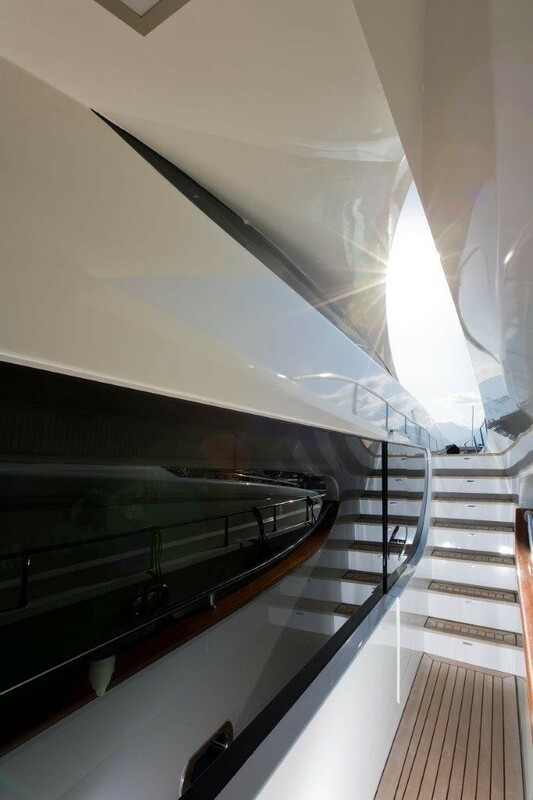 Boasting a sleek exterior and deluxe interior, the yacht SUN KISS is the ideal combination of performance and style. 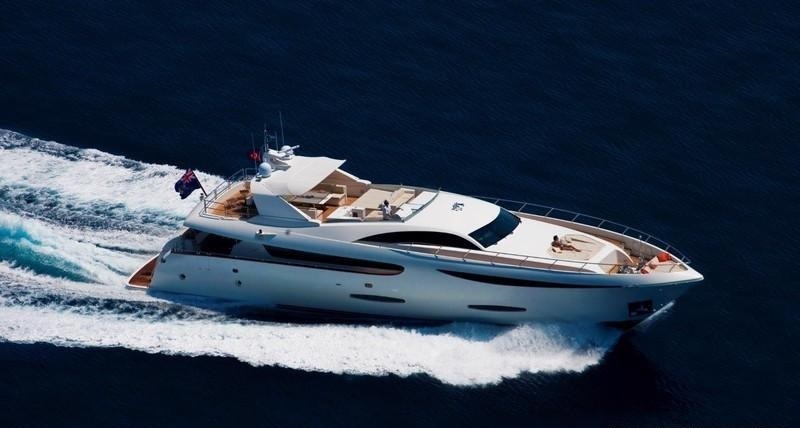 M/Y SUN KISS is available for luxury yacht charters year round in the East Mediterranean, with accommodation for up to 8 guests. 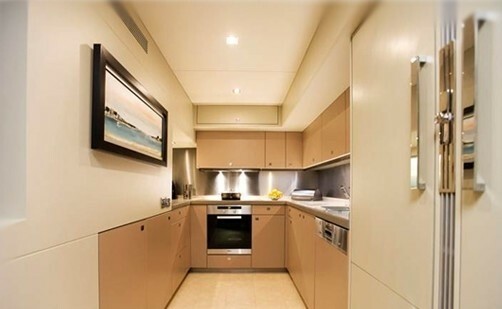 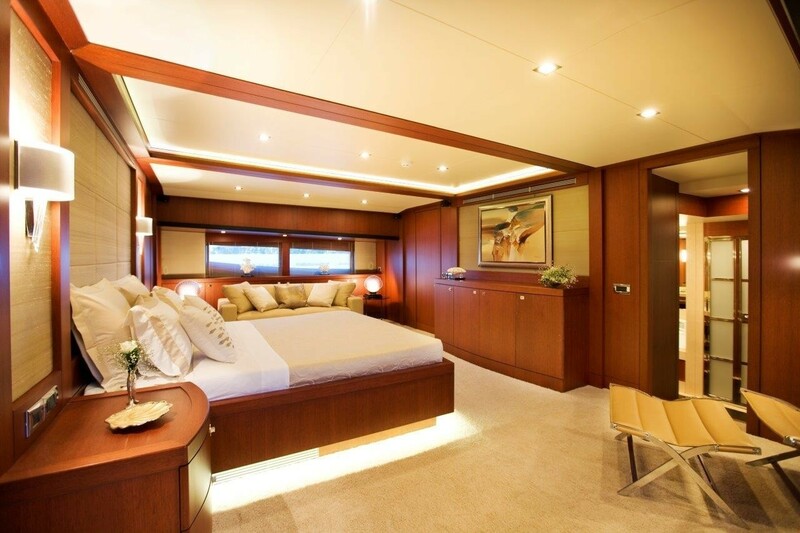 Crewed charter yacht SUN KISS has a refined elegant interior, featuring rich wood panels and neutral cream soft furnishings throughout. 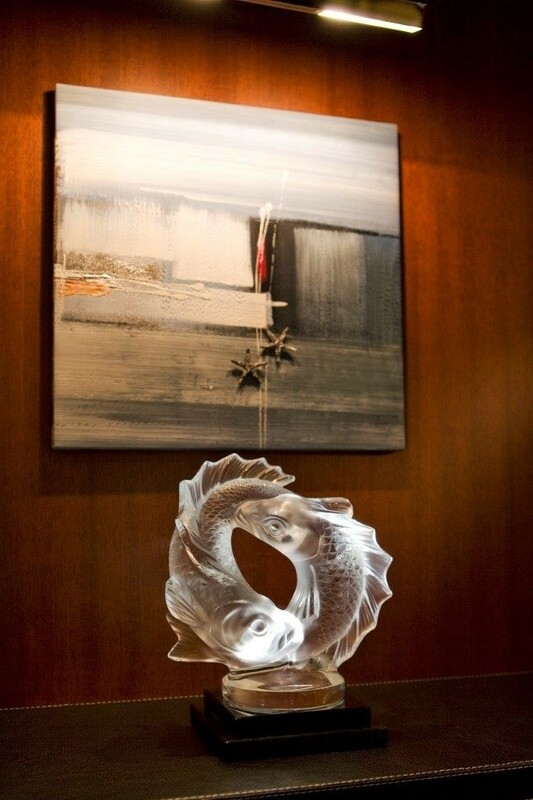 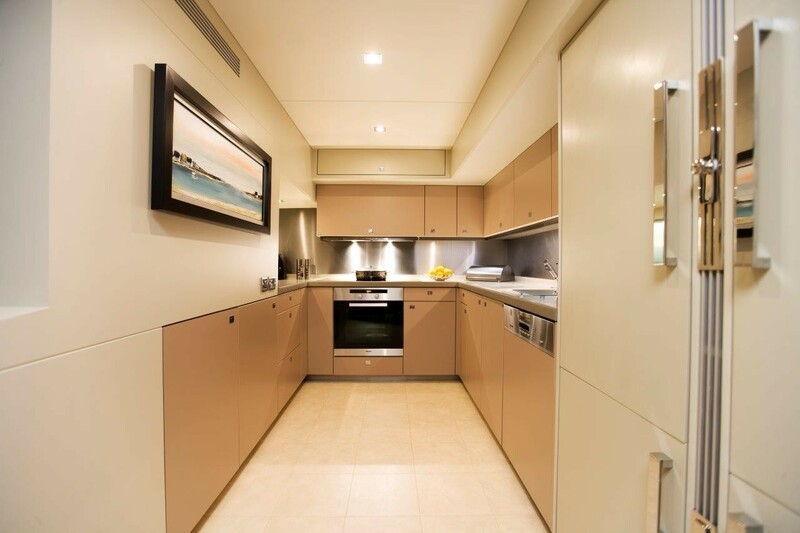 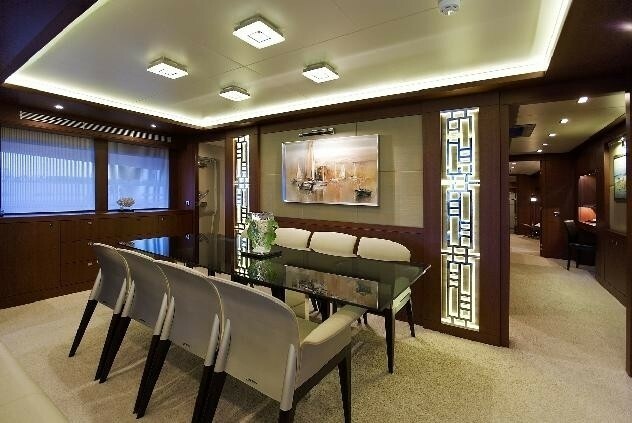 The salon and dining is an open plan, boasting plenty of relaxing and entertaining options. 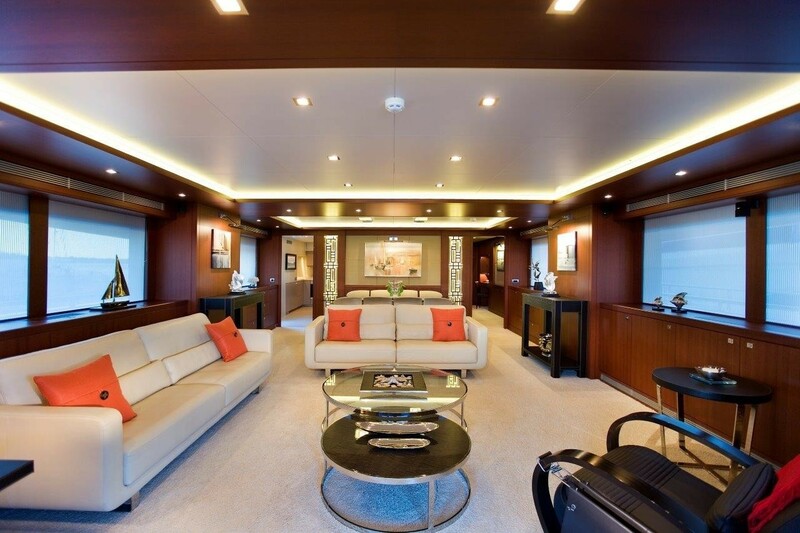 The lounge offers 2 generous sofas, reclining chair, coffee tables and a full entertainment system. 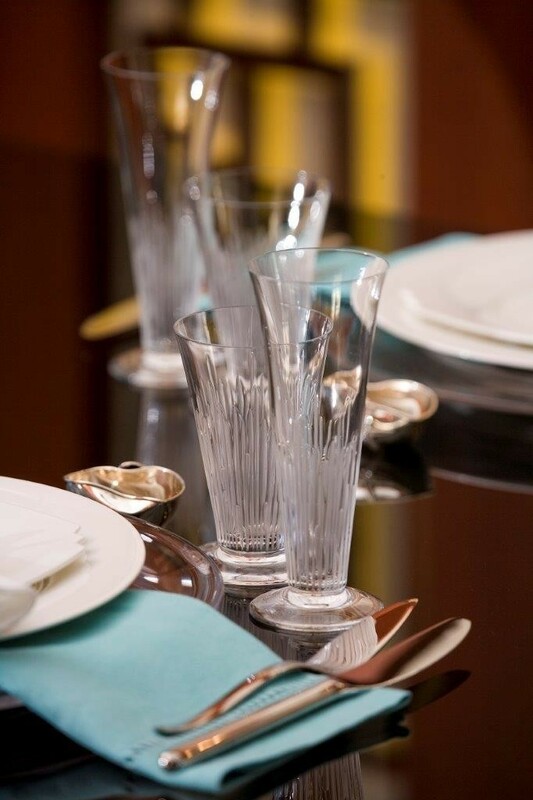 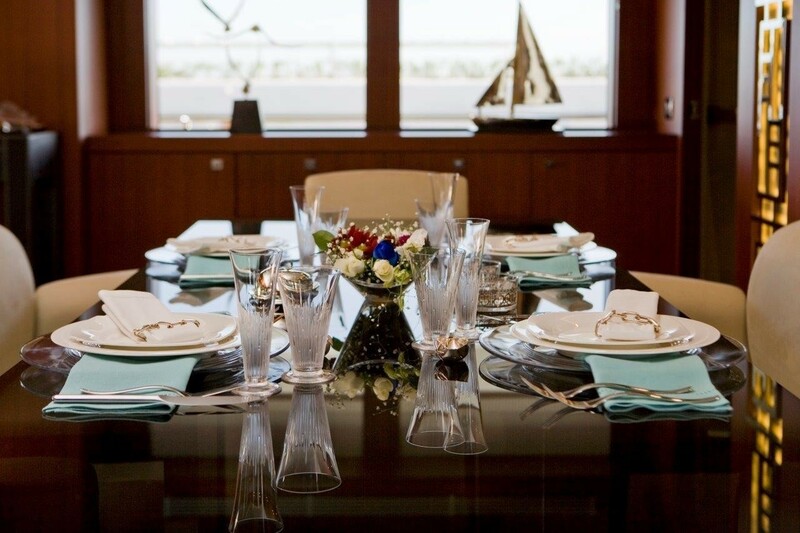 Forward is a formal dining table, seating up to 8 guests with ease. 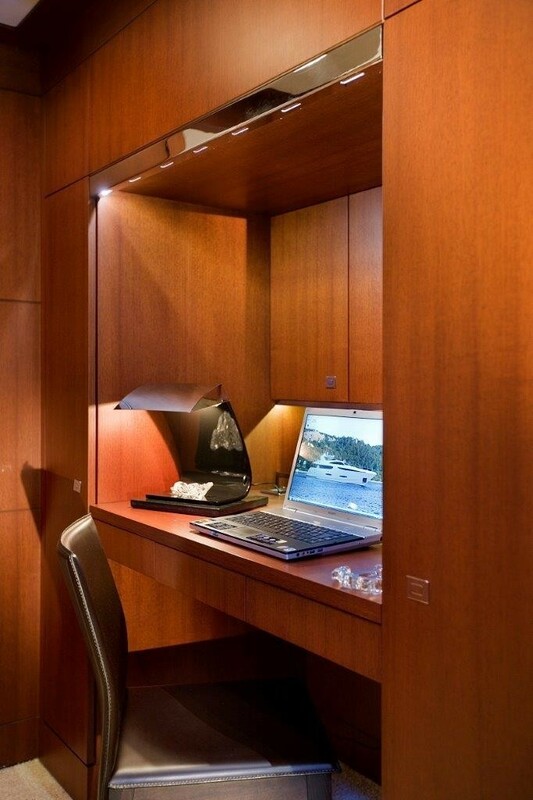 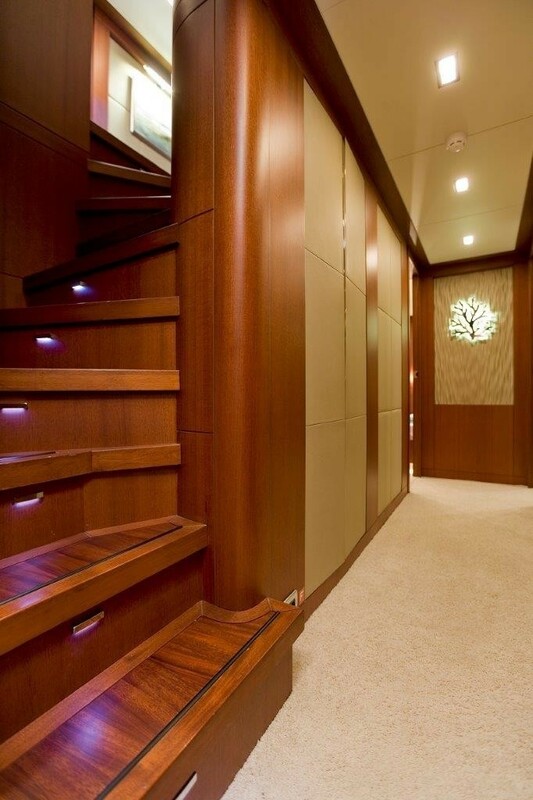 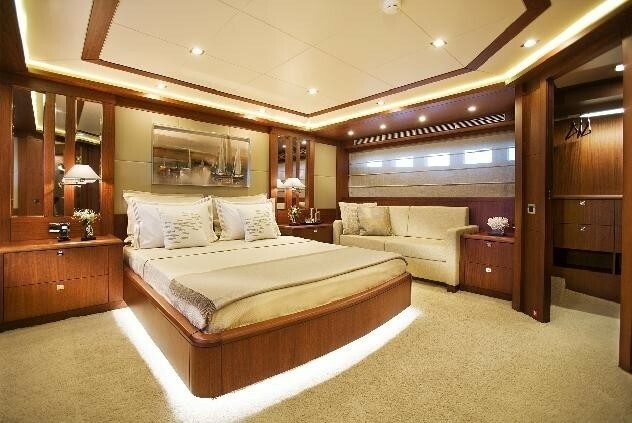 Below decks are 4 well-appointed luxury guest cabins, for up to 8 guests. 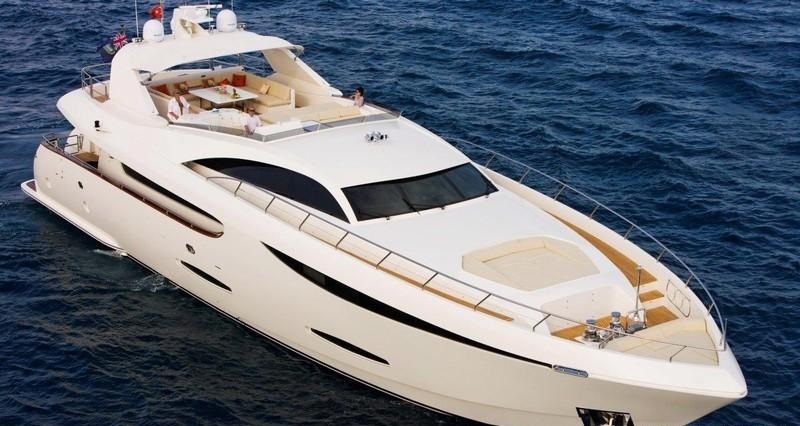 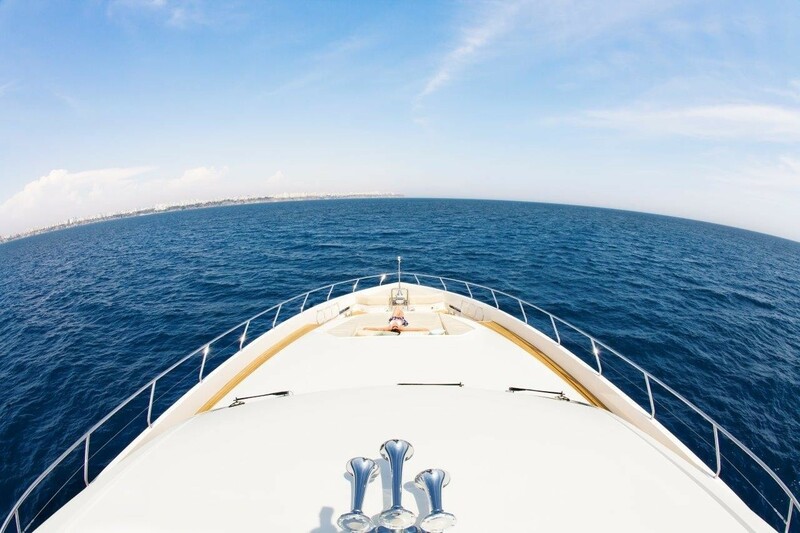 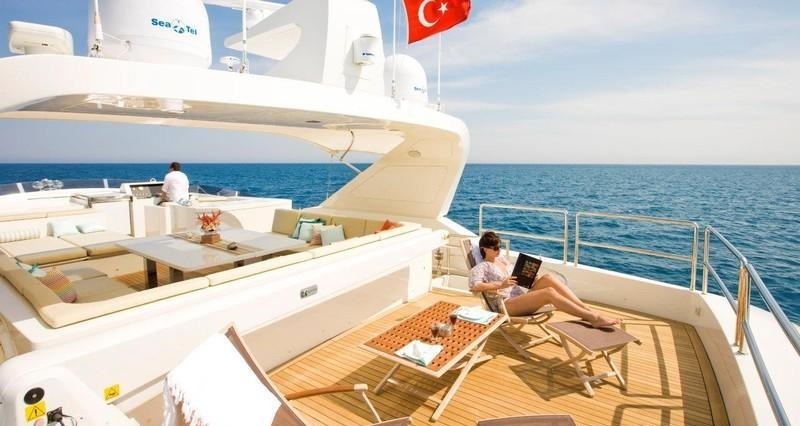 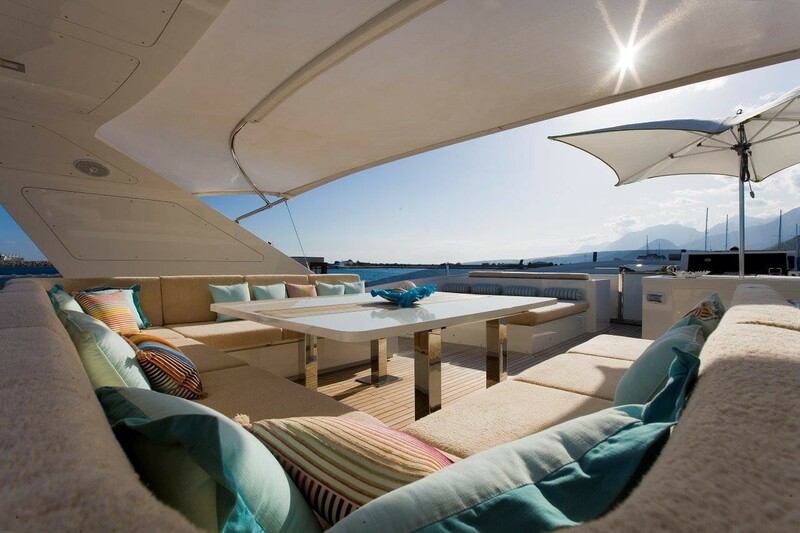 Enjoy the east Mediterranean aboard the SUN KISS yacht’s 2 spacious decks. 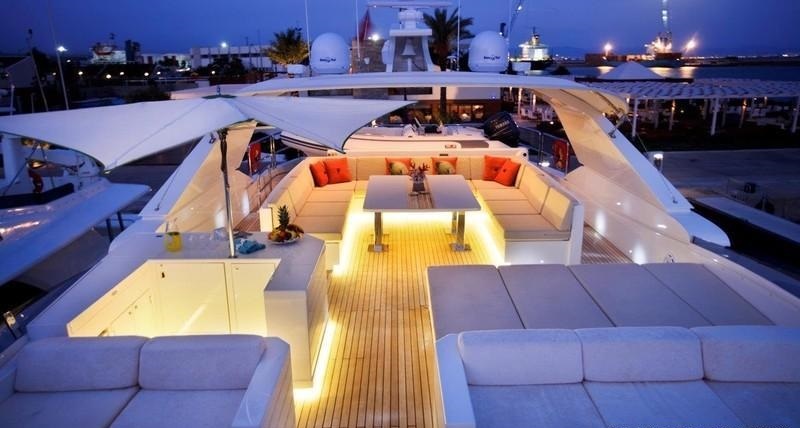 The main deck features a large aft deck, perfect for any occasion, with an alfresco dining option and built in seating. 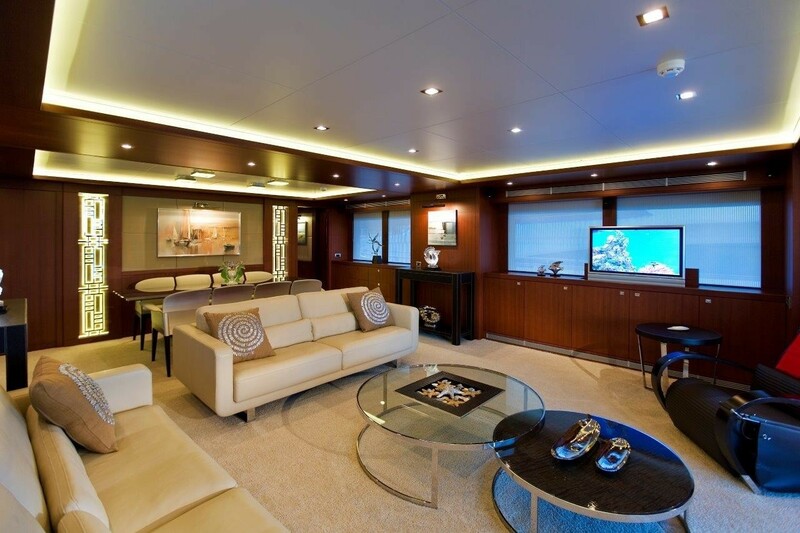 Partial shade adds to the comfort on the aft deck, while sliding glass doors lead into the salon, creating a truly social ambiance. 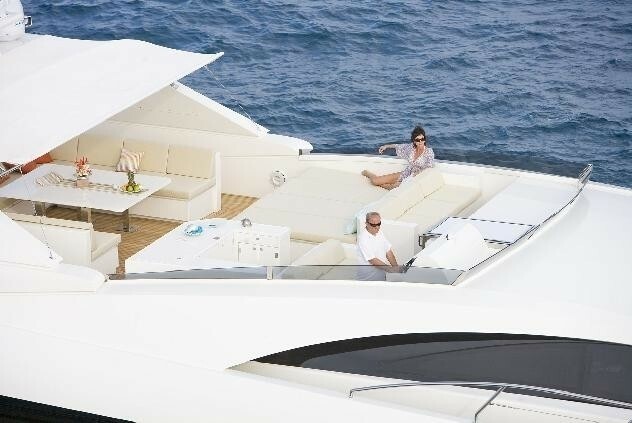 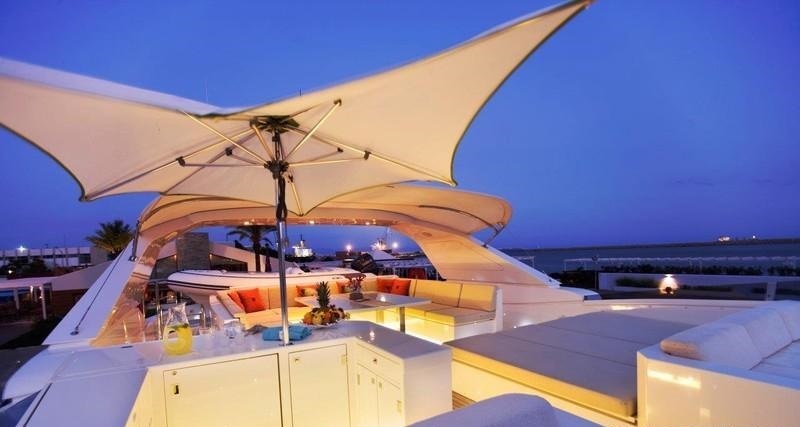 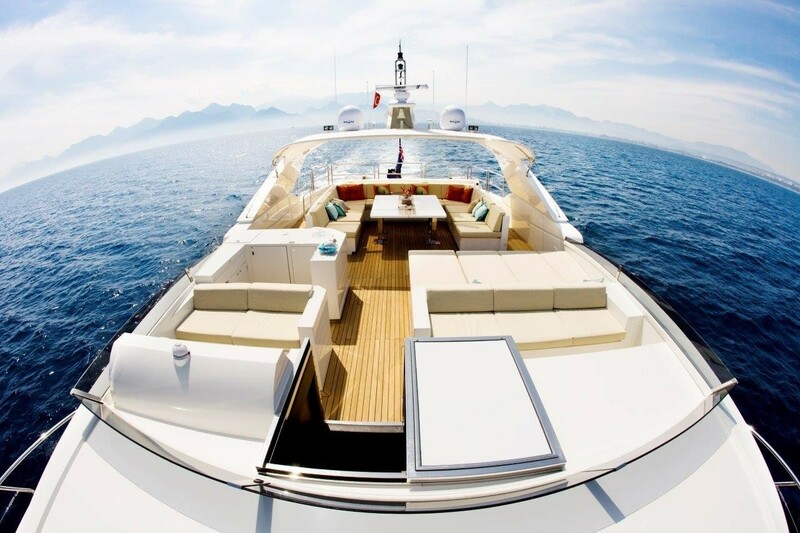 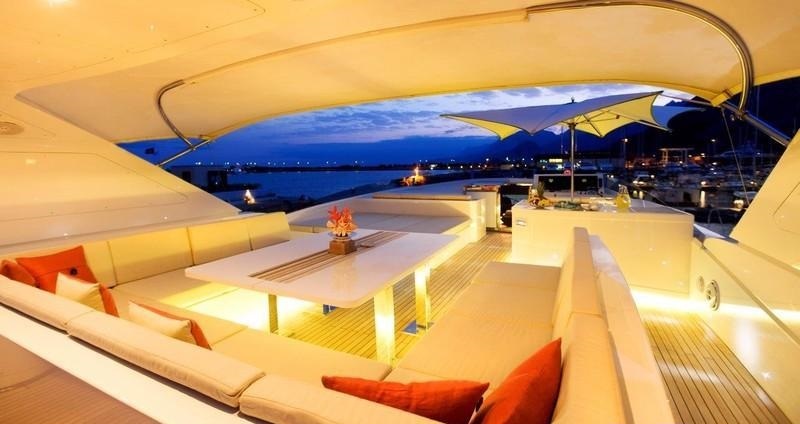 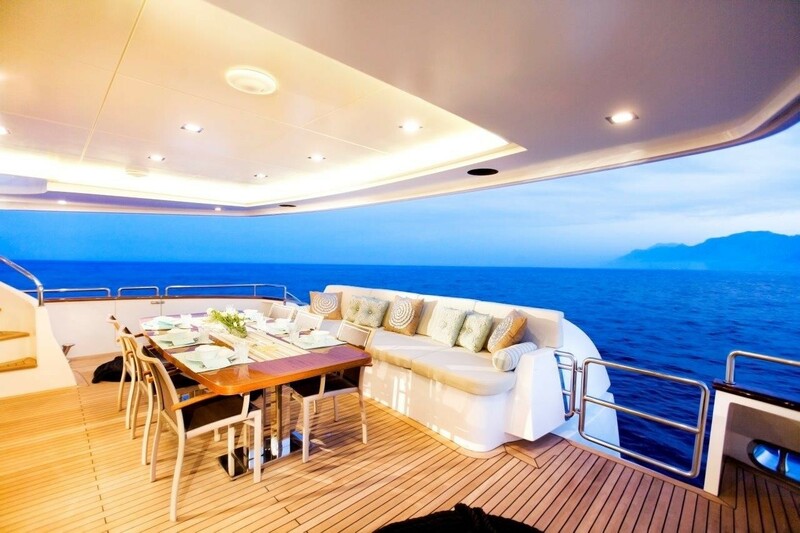 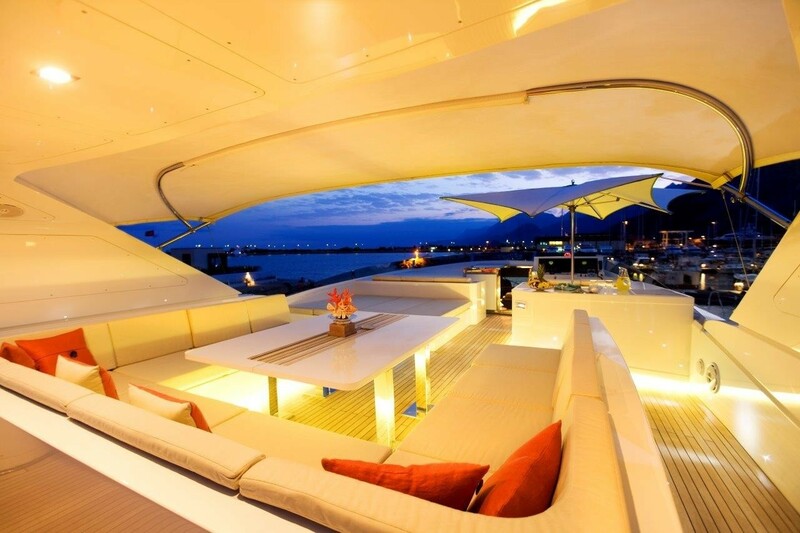 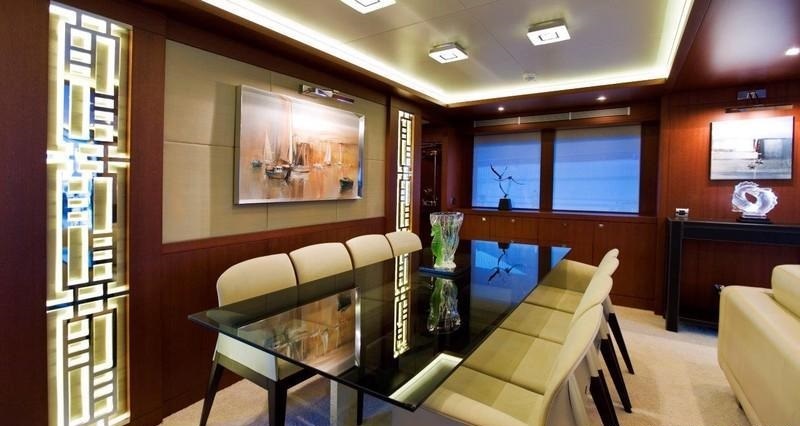 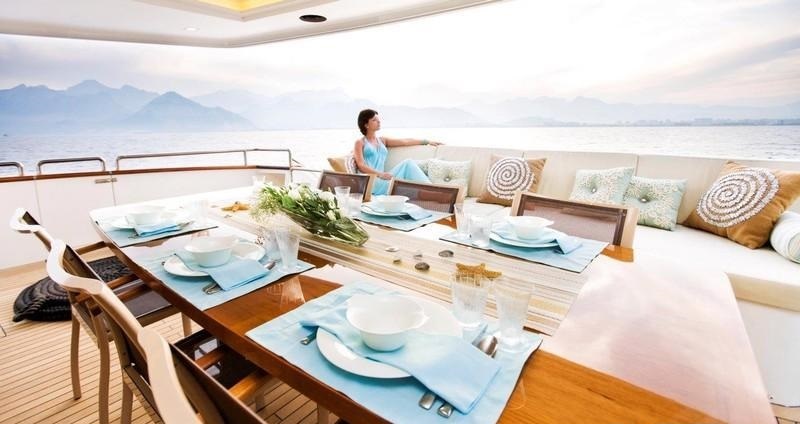 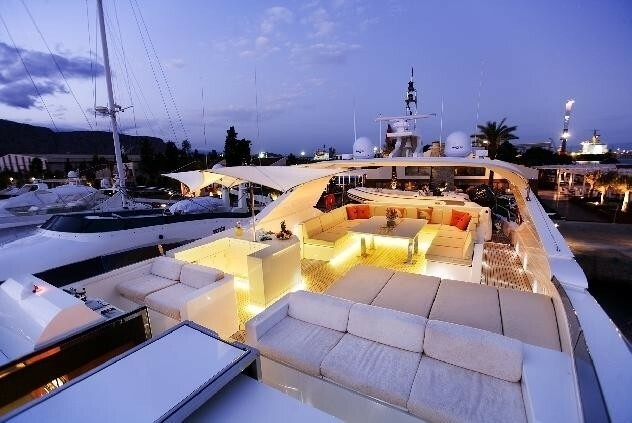 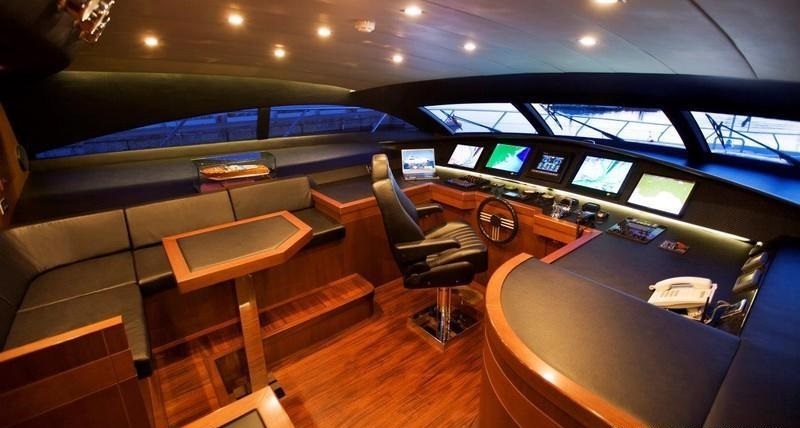 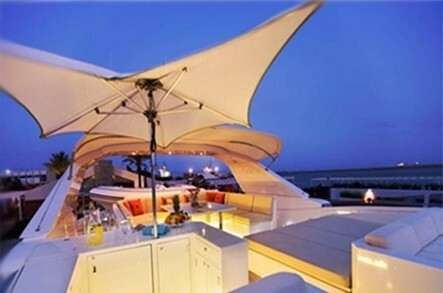 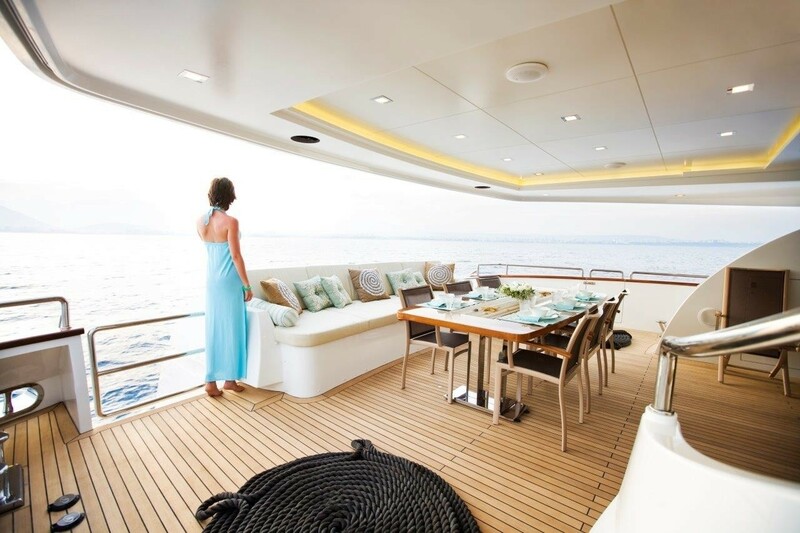 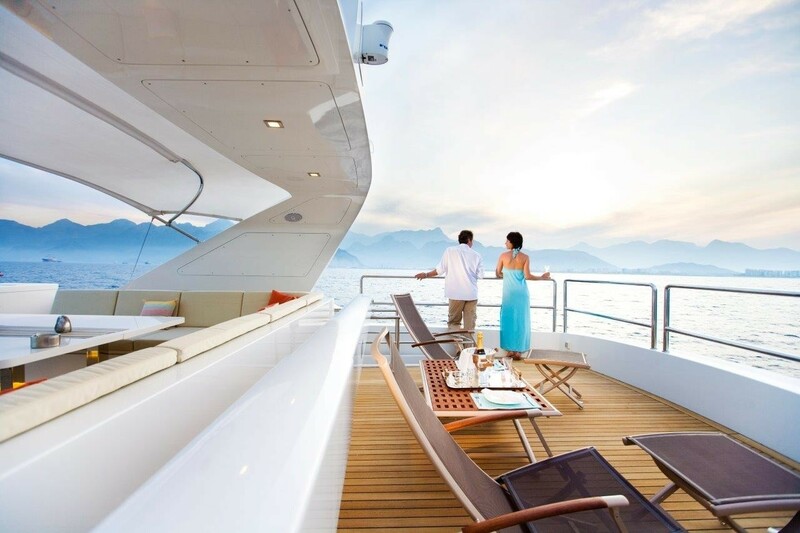 The main deck wraps around the yacht 360°, allowing guests to wonder forward to a raised foredeck, with 2 ample sunpads. 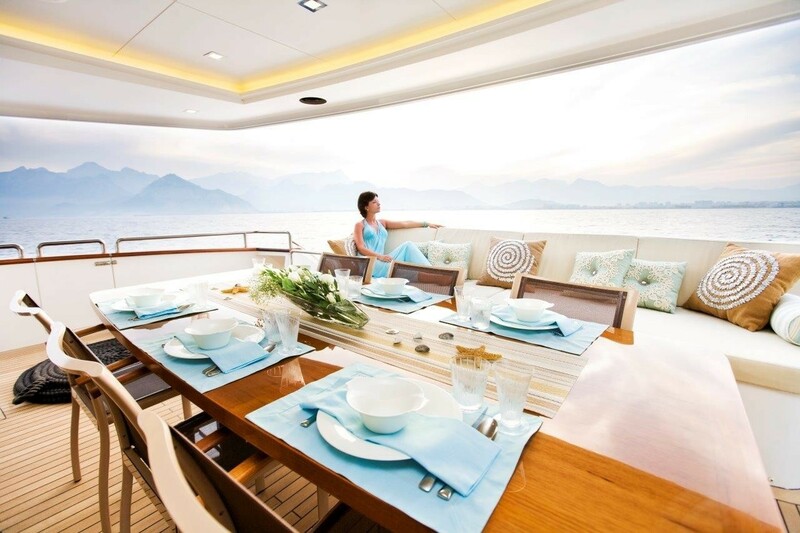 The flybridge deck features a further alfresco dining option, sunpads, chaise lounges, seating, removable Bimini shade and a complete wet bar. 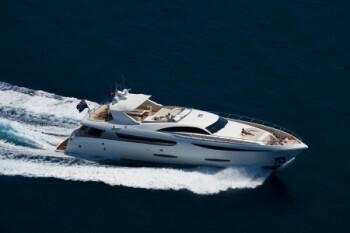 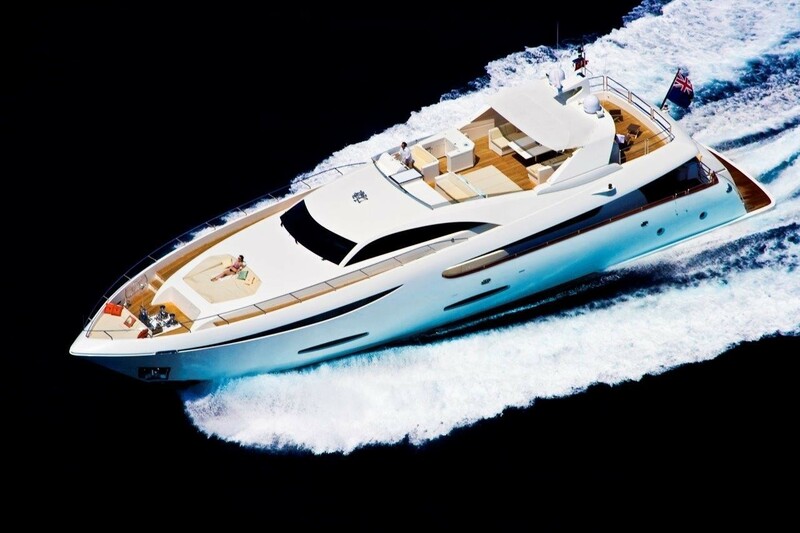 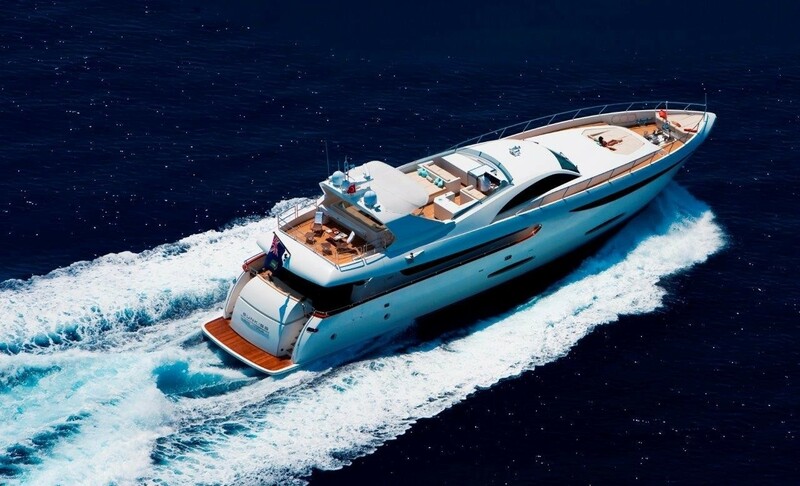 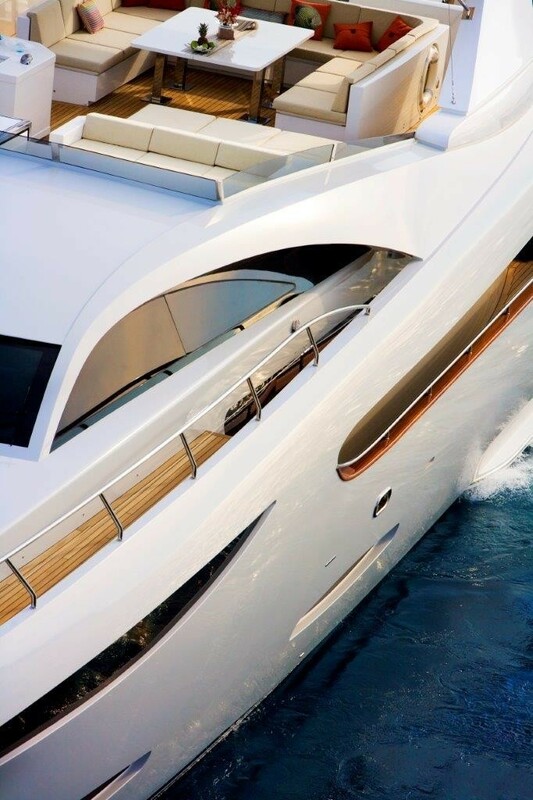 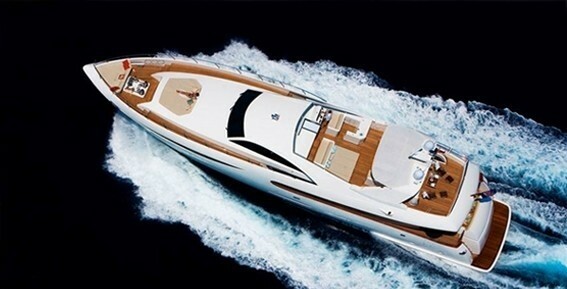 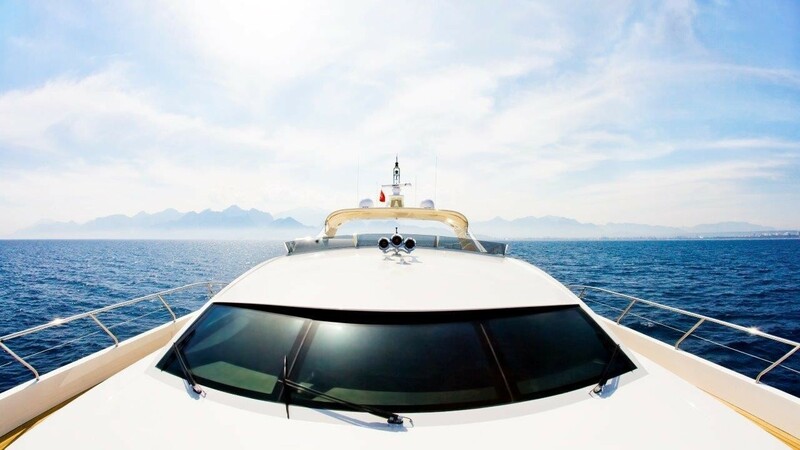 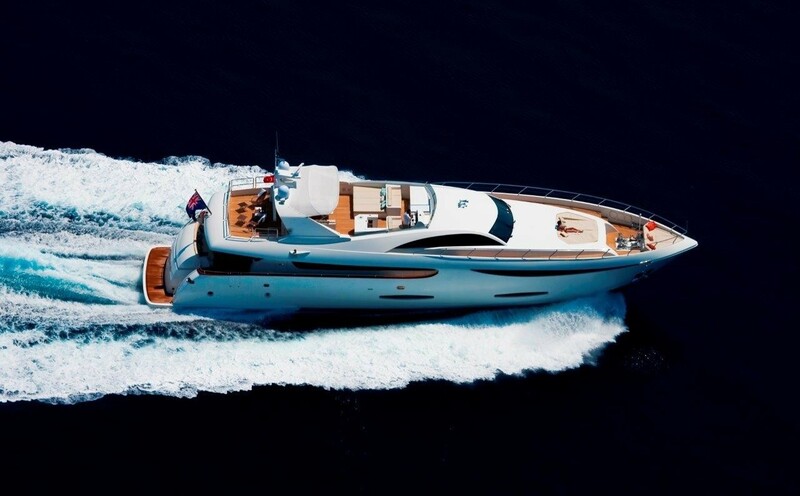 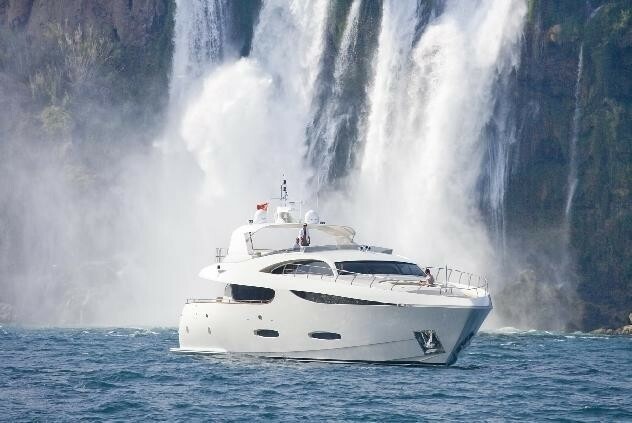 Powered by 2 CAT engines, motor yacht SUN KISS averages impressive speeds of 19 – 23 knots. 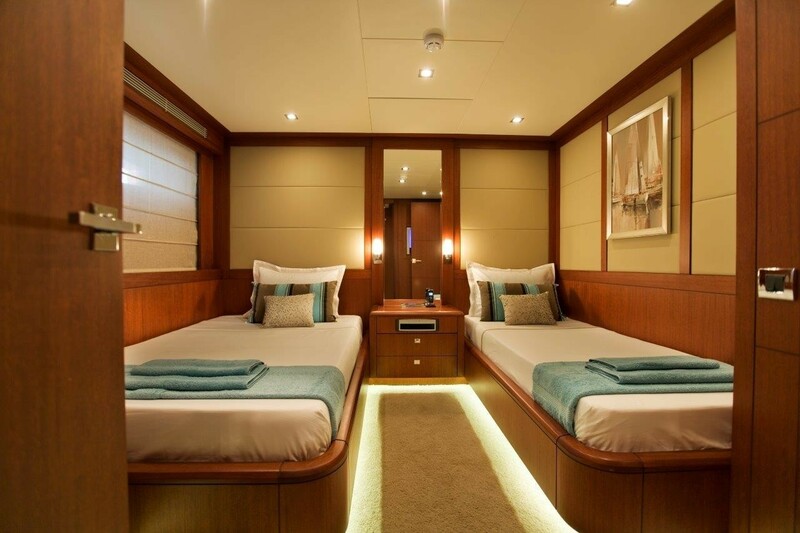 Luxury crewed Nedship SUN KISS offers accommodation in 4 generous cabins, for up to 8 charter guests. 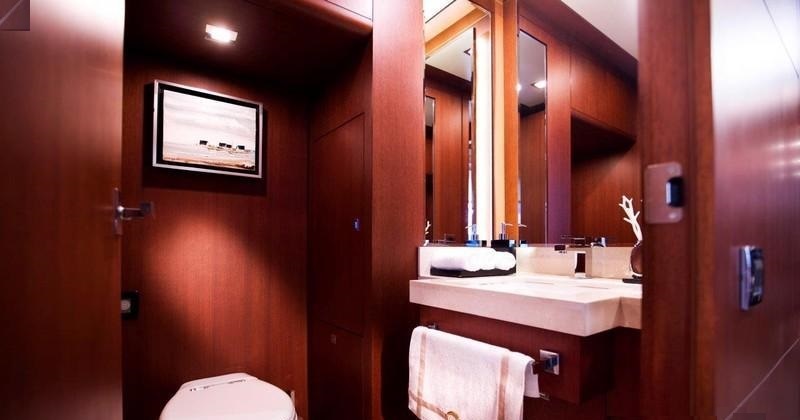 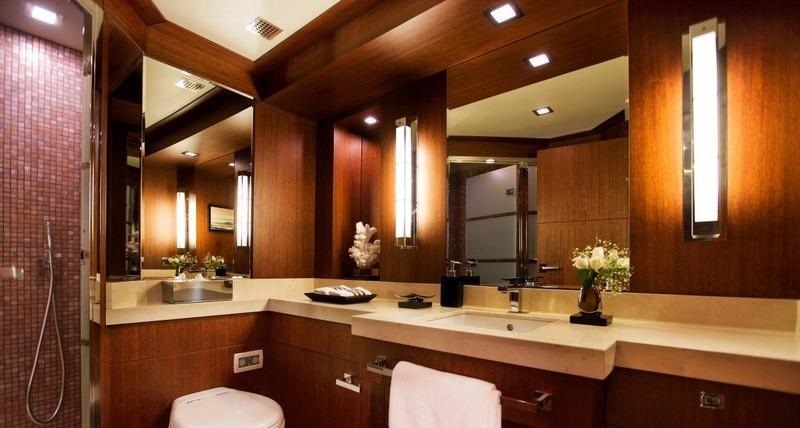 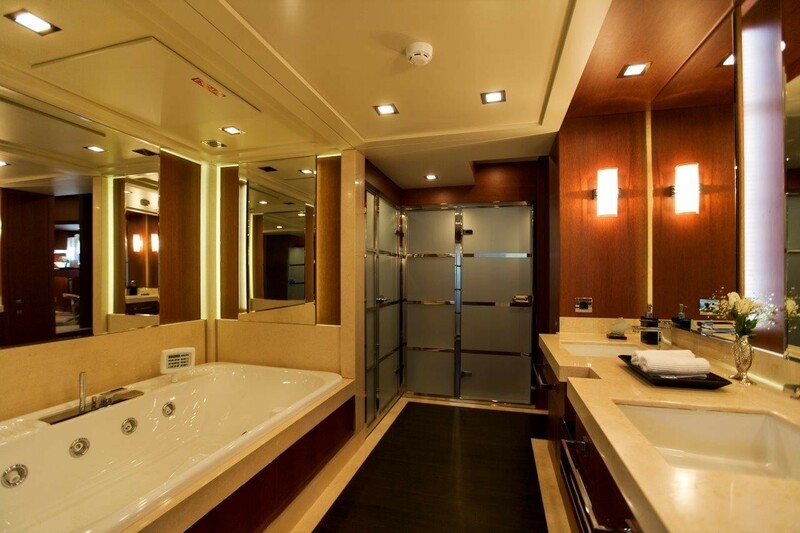 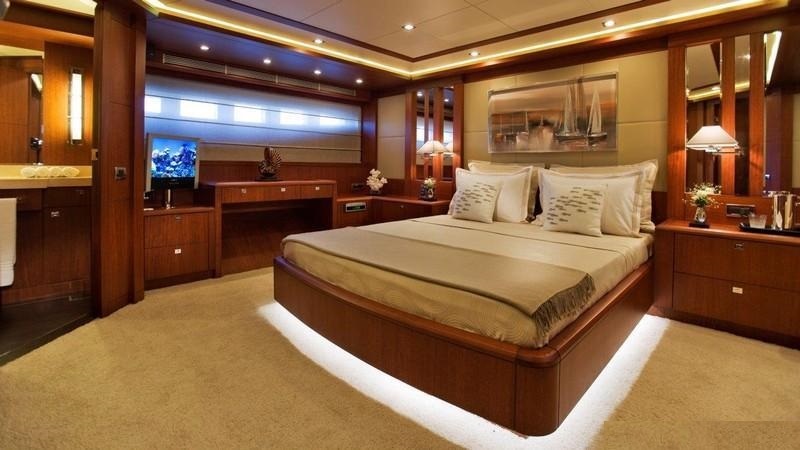 The master stateroom is amidships and full beam of the yacht with a king size center lined bed, sofa, vanity and oversized en-suite, with shower and jet tub. 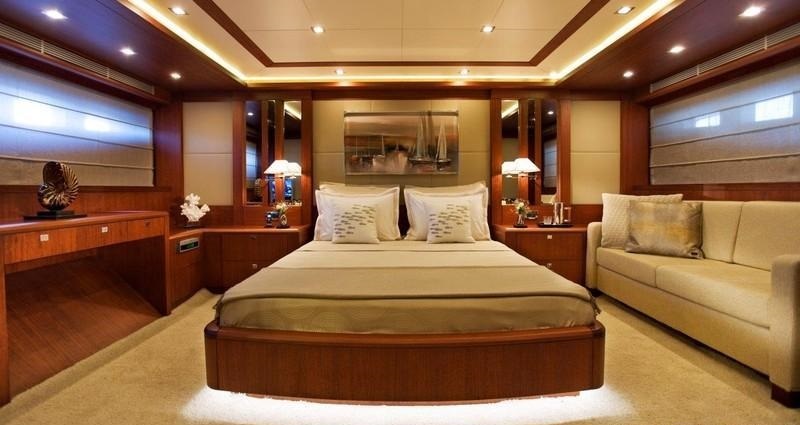 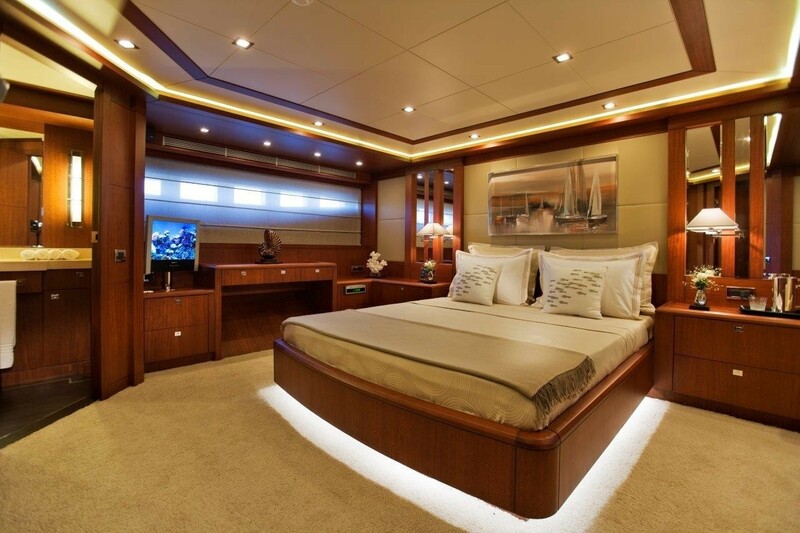 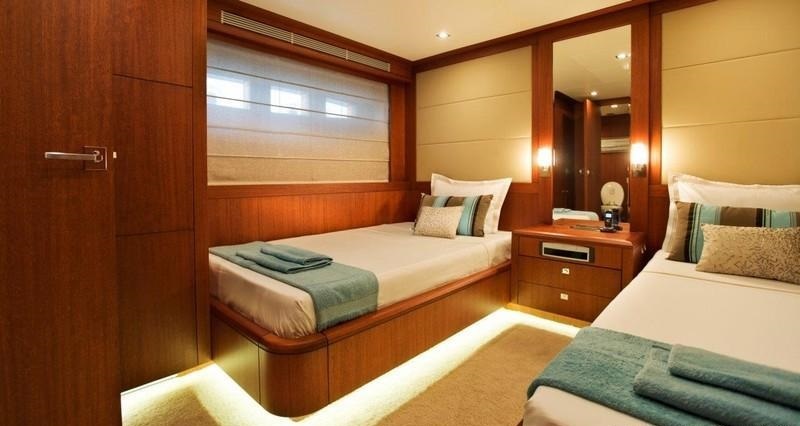 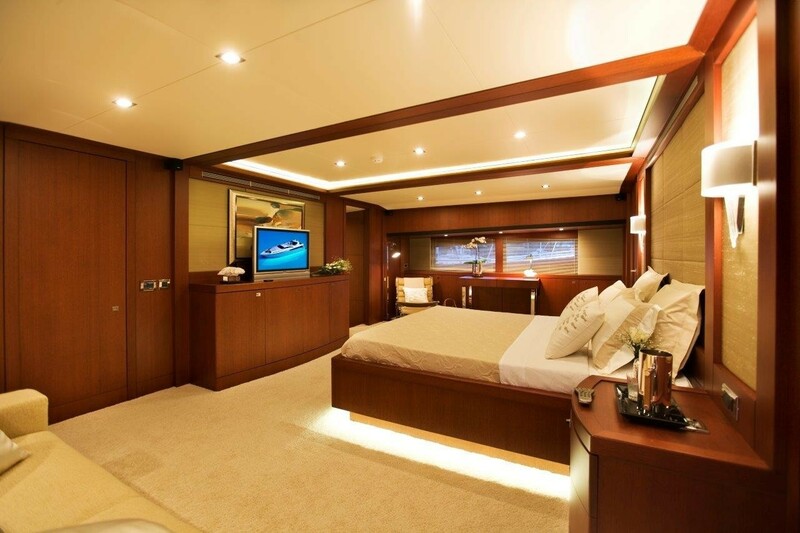 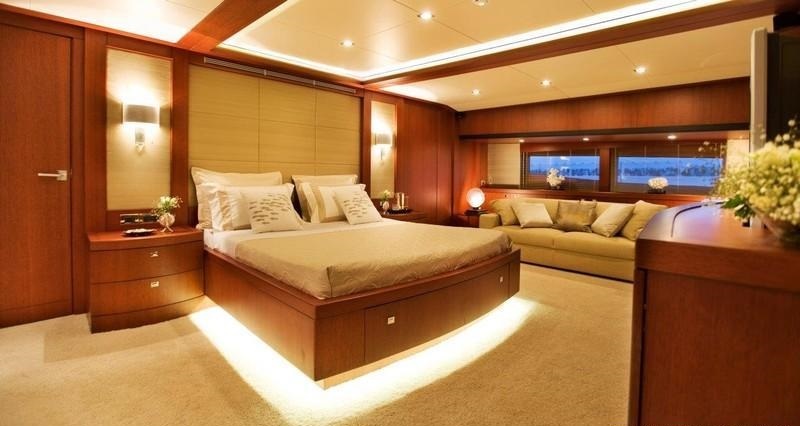 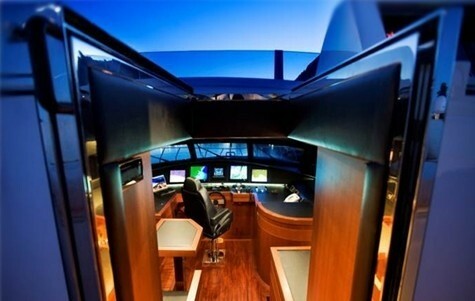 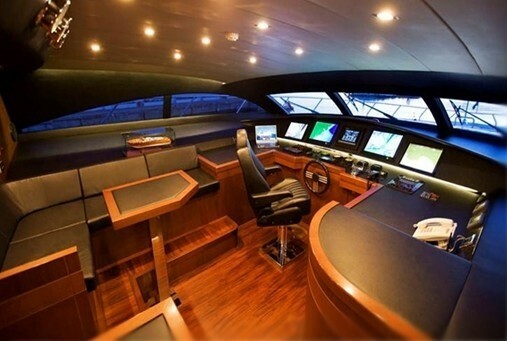 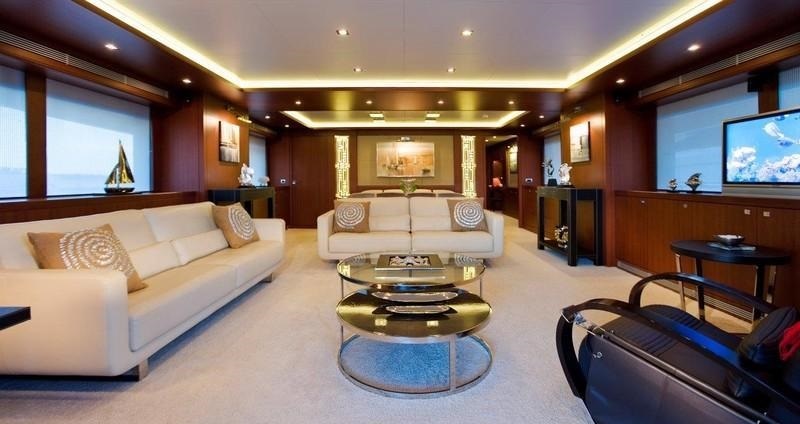 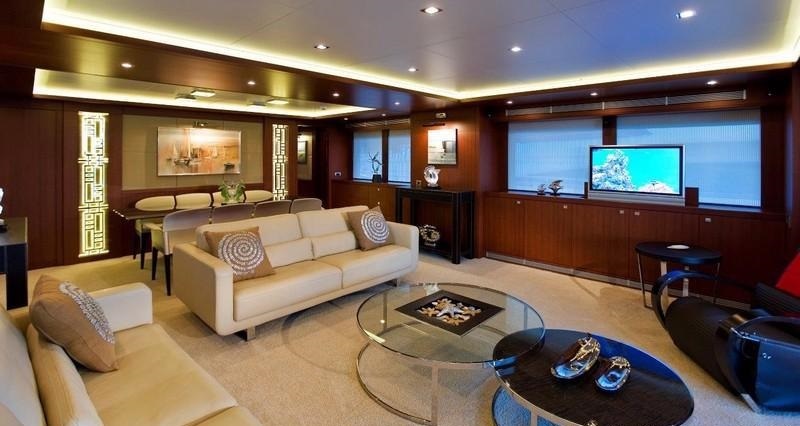 The VIP cabin is full beam of the yacht forward, with a center lined queen size bed, sofa and vanity. 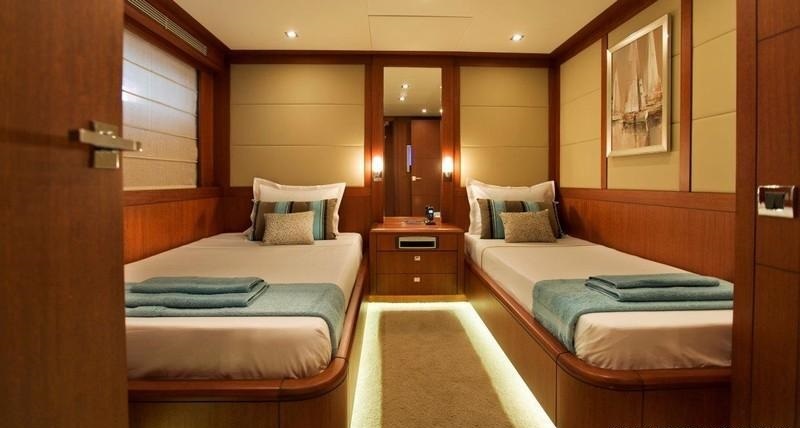 Two guest cabins each have side by side single beds. 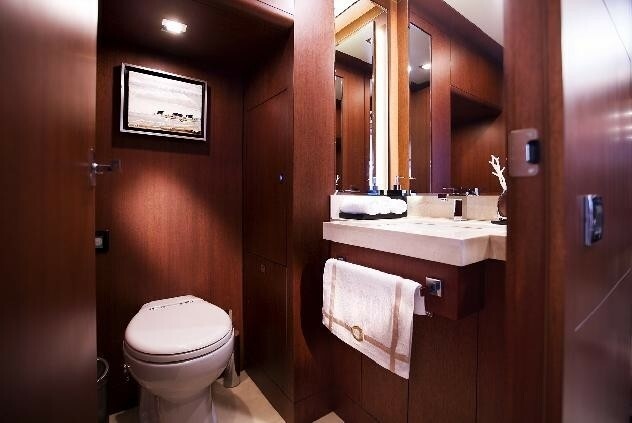 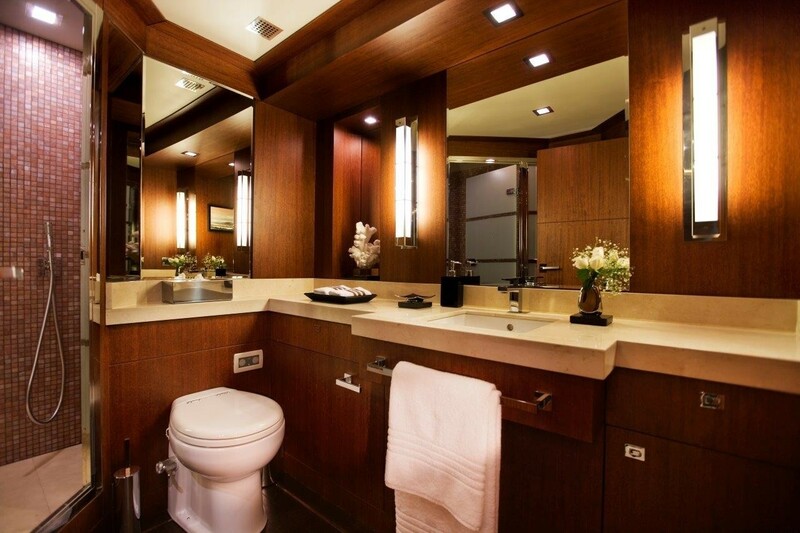 Each guest cabin is elegant and relaxing. 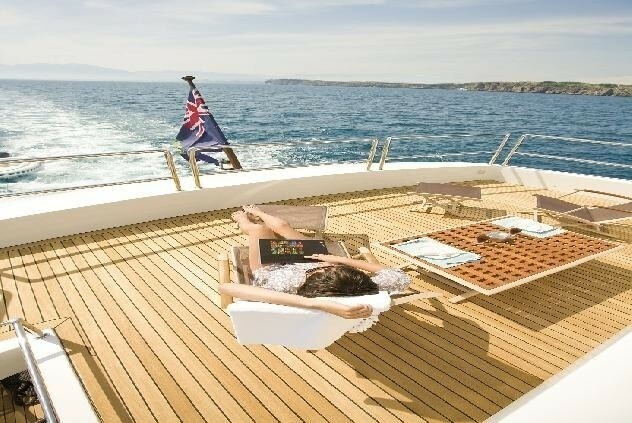 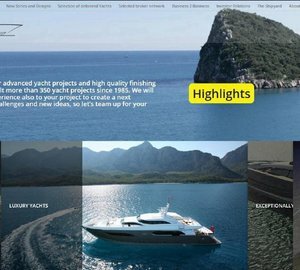 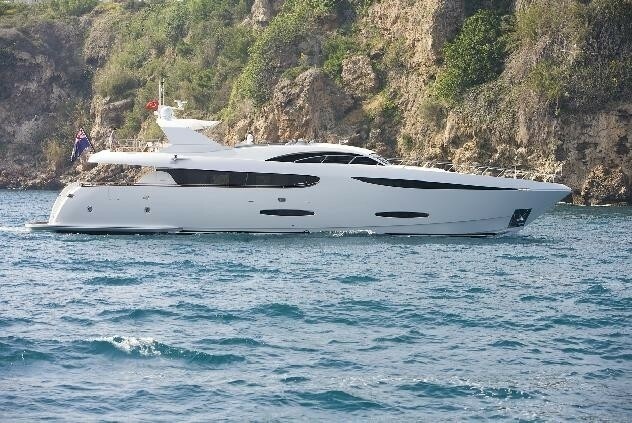 Please contact CharterWorld for further details of the yacht charter amenities available onboard the SUN KISS motor yacht.